WASHINGTON — The Canadian government is poised to walk away from a deal with Boeing to buy 18 F/A-18E/F Super Hornet jets, a major blow for the future of the Boeing jet. Canada’s Liberal government will announce next week plans to proceed with an interim buy of used F/A-18 Hornets from Australia, dashing Boeing’s hopes of a Super Hornet sale, three sources familiar with the situation told Reuters, according to a Dec. 5 report. Canada intended to buy new Super Hornet aircraft to bridge the gap between its aging CF-18 Hornet fleet and a new fighter jet. However, after Boeing lodged a legal complaint accusing Canadian aerospace firm Bombardier of dumping commercial planes on the U.S. market, Canadian government officials — including Prime Minister Justin Trudeau — put a hold on the purchase and began looking at other options. Officials from Canada’s Department of National Defence said they would not comment on the rumors. Public Services and Procurement Canada, which would handle any purchase, did not issue a comment on the report. Boeing also declined to comment on the Reuters report. During an exclusive interview with Defense News on Dec. 2, Leanne Caret, president and CEO of Boeing Defense and Security, referenced the company’s long history with the Royal Canadian Air Force, which flies CF-18 Hornets. However, she stopped short of saying she believed problems with Canada could be resolved. “As with any of our customer’s decisions, we are there for the long term and in Canada we have had a proud history with them for decades. They are going to make the right decision that is right for them,” she said. Speaking to Defense News last month, RCAF commander Lt. Gen. Michael Hood said that if the service bought used Hornets from Australia, the Canadian government would have to invest in extending the lives of the airframes, which are meeting their structural end. L3 Technologies, which has worked on the CF-18s previously, would likely pick up that contract— further shutting out Boeing. Canada will issue a request for proposals in 2019, with a projected contract award in 2021. The decision to reverse course on the Super Hornet deal could have colossal implications for Canada’s future fighter competition. 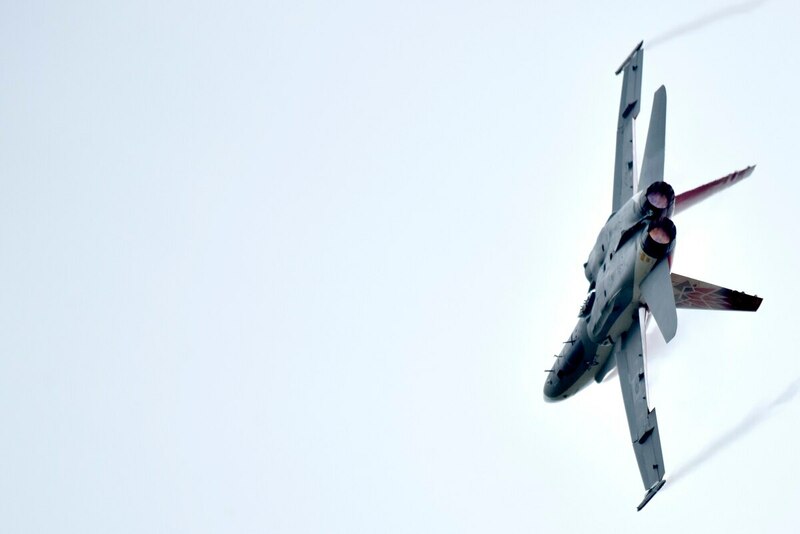 When the government announced the Super Hornet interim buy in 2016, it was widely seen as a rebuke of Lockheed Martin’s F-35 and a sign that the Super Hornet was on a fast track to win Canada’s competition. Continued tensions between Canada and Boeing shot a hole through that vision, bolstering not only the chances of Lockheed’s F-35, but also the Eurofighter Typhoon, Saab Gripen E and Dassault Rafale. David Pugilese in Canada and Aaron Mehta in Washington contributed to this report.